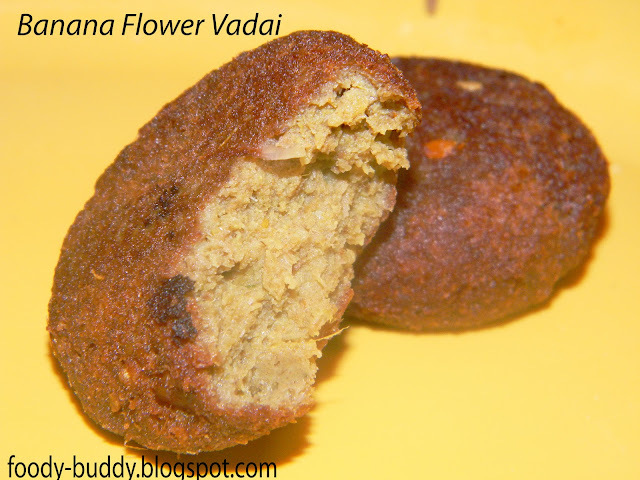 Vazhaipoo vadai as in tamil or banana flower vadai is a tasty south-Indian fritter. 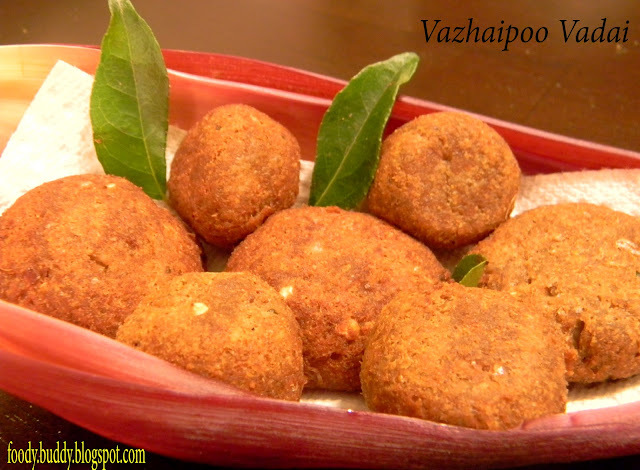 This vadai is a tasty, deep-fried, finger licking savoury snack that goes good as an appetizer or a good snack to munch with a hot cup of tea. This is one of the many recipes my mother taught me. Cleaning the banana flower is a tedious process. Banana flower consists of many layers of bract. You can see a bunch of florets under each bracts. First remove the pink layer. Take out the florets found underneath. Remove all the layers one by one till you find the white dome like structure and collect all the florets.In each floret, you can see a string in the middle with a tiny head called stamen and also a small plastic like white cover around it. Both are not edible so trash it. Take a pan with water and turmeric and add all the florets to it .Allow it to boil until you find the foaming at the top. Take off the pan from heat. Allow it to cool . 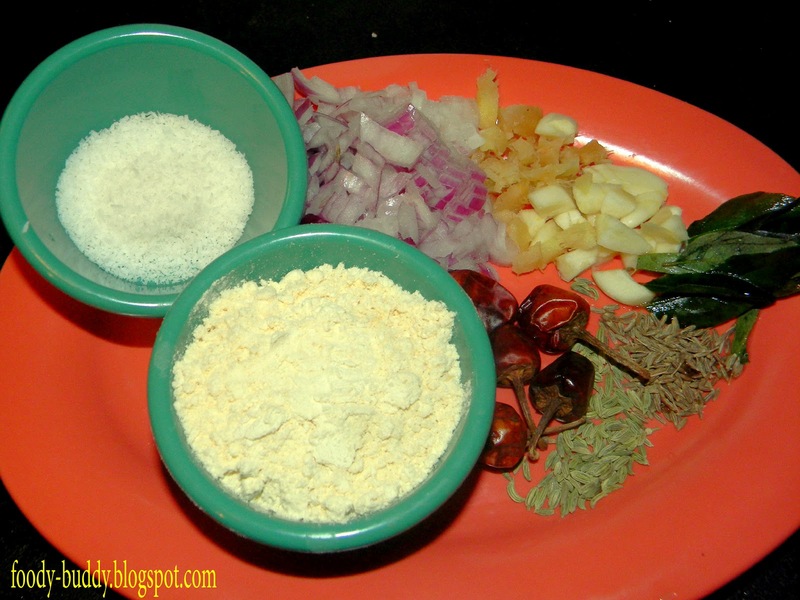 In a blender, grind boiled florets, red chillies, salt, ginger, garlic first and then to this mixture add cumin, fennel, onion, curry leaves and grind it coarsely. Transfer this mixture to a bowl and add roasted bengal gram powder, coconut powder, salt and asafoetida. 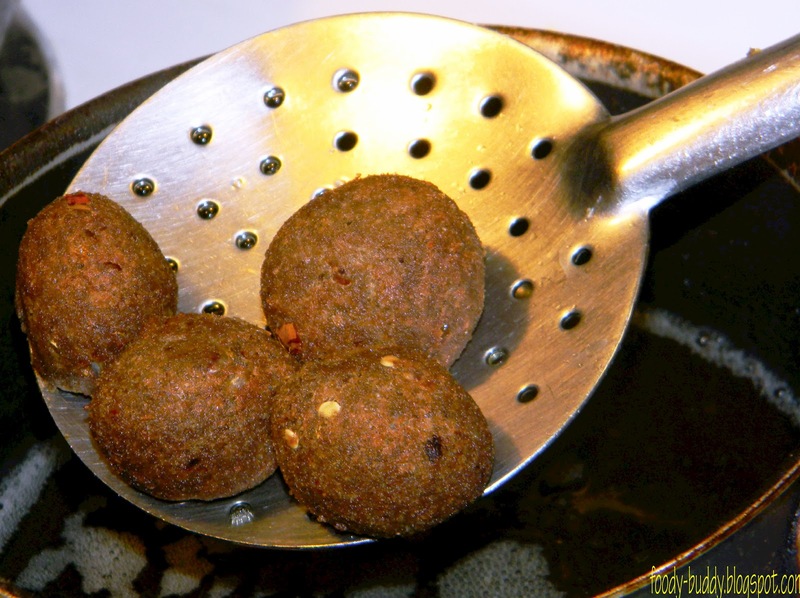 Heat oil in pan and make a flat patty/vadai in your palm. Drop the vadai in hot oil and cook in medium flame. Fry until both sides are golden and crispy. Hot crispy vadai is ready to serve. Make sure do not add too much of water while grinding. The water in vazhaipoo is enough. You can add soaked channa dal instead of Roated bengal gram powder. Adding roated bengal gram powder gives you soft vadai. Always fry vadai in medium -low flame.